With the challenges presented by an aging population, growing numbers of lifestyle diseases, and a steadily expanding healthcare system, the medical community is relying more and more on nurses. 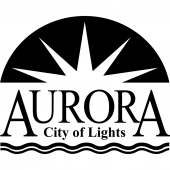 In Aurora, there are plenty of employment opportunities in healthcare for nurses at all levels. Understanding the different roles in the nursing field is the first step to finding the program that is right for you. Below you can read about these nursing roles in greater detail. Nursing assistants make up roughly 30% of the nursing workforce in Illinois, with over 40,000 nursing assistants in the Chicagoland area alone. Requiring only a brief certification program, this route is the best option for students looking for the fast track to a nursing career. This can be especially important to students who are balancing school with a full-time job or family demands. There are over 50 schools in Illinois offering the required certification program, including Aurora University. Licensed practical nurses provide a higher level of care and are given more responsibilities in the workplace. LPN programs are offered at community colleges and vocational schools, and typically take 12 to 18 months to complete. Some of the most common employers of LPNs in Aurora are Alexia Brothers Health System, Rush-Copley Medical Center, and Tenet Health. Registered nurses make up the majority of the nursing workforce, and the number of job opportunities for RNs is projected to soar in the next decade. RNs help to plan, implement, and assess all levels of patient care. There are two educational options for RNs: a two-year associate’s degree (ADN) or a four-year bachelor’s degree (BSN) program. An ADN provides the fastest path to a registered nursing career; however, a BSN gives nurses more intensive training, a considerable advantage on the job market, and (often) higher pay. If you are interested in finding out more about the nursing schools in Aurora, Illinois, take a look at the list of programs below.